The official school year for DCPS and many DC charter schools has ended, but we know so many inspired educators are already dreaming big dreams for school year 2018-2019. 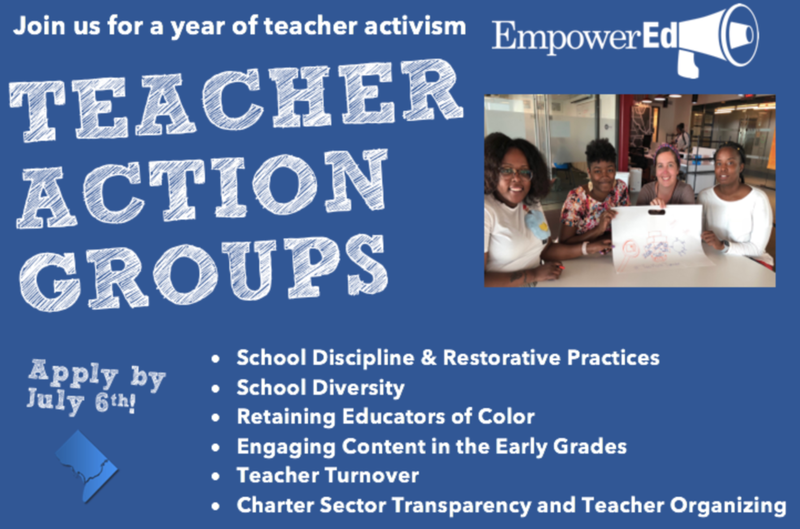 The DC teacher leadership organization EmpowerEd is launching a major commitment to teacher advocacy work next school year and would like to invite you to join. Please apply by Friday, July 6, If you are interested in joining one of these groups.